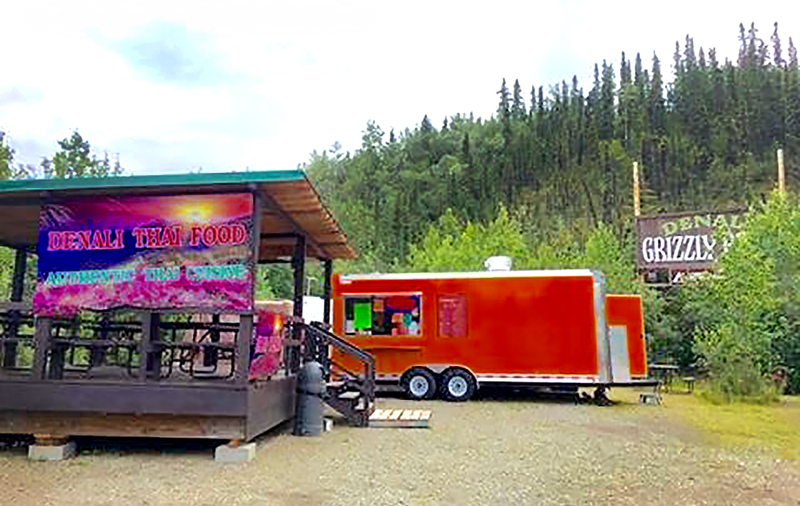 Dine at our popular food truck court, visit the general store, local tour desk, gift shop, liquor store, showers, laundromat and more! 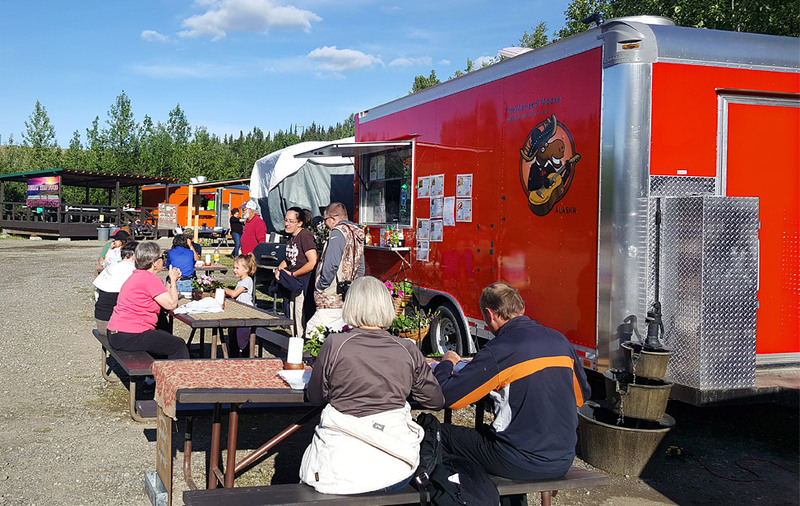 Be sure and visit our very popular Food Truck Court. 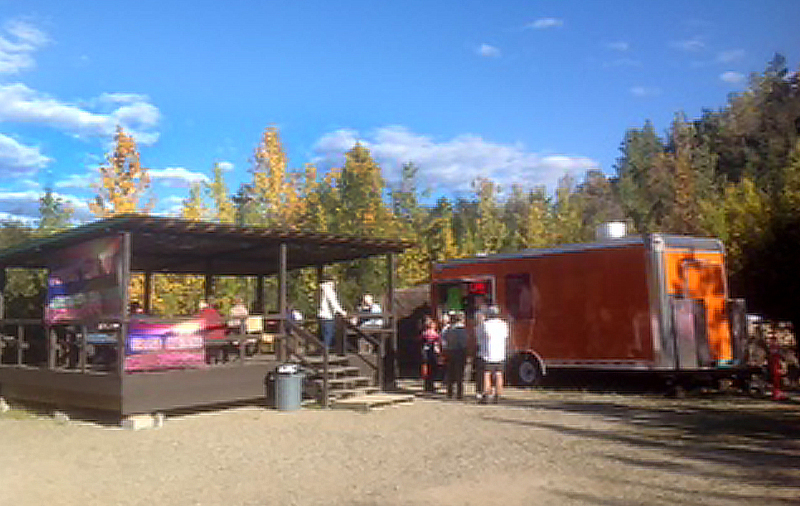 Guests can choose from a variety of specialty foods from local food trucks Denali Thai and Mariachi Moose. Enjoy your meal in our scenic food pavilions. 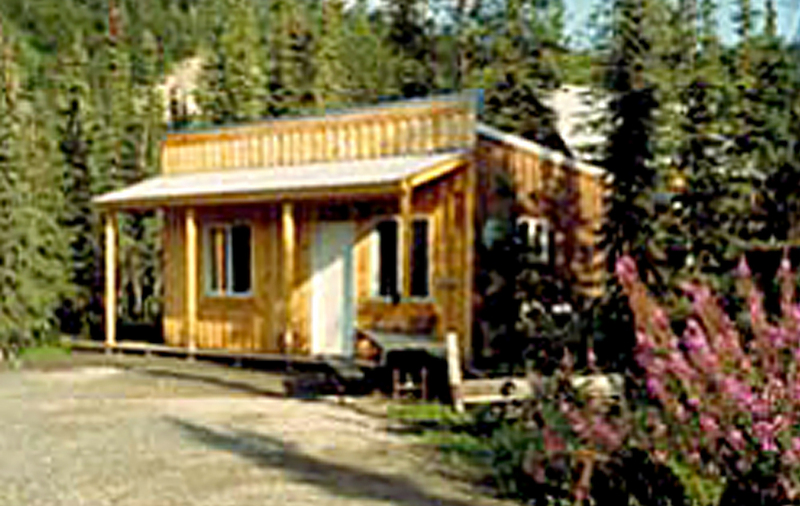 The Denali Grizzly Bear Resort is located on the Parks Highway at the south entrance to Denali National Park. It is close to many fine restaurants and many fun attractions like: River Raft Tours, ATV Tours, Hiking Trails, Trail Rides and Helicopter and Airplane Flights. 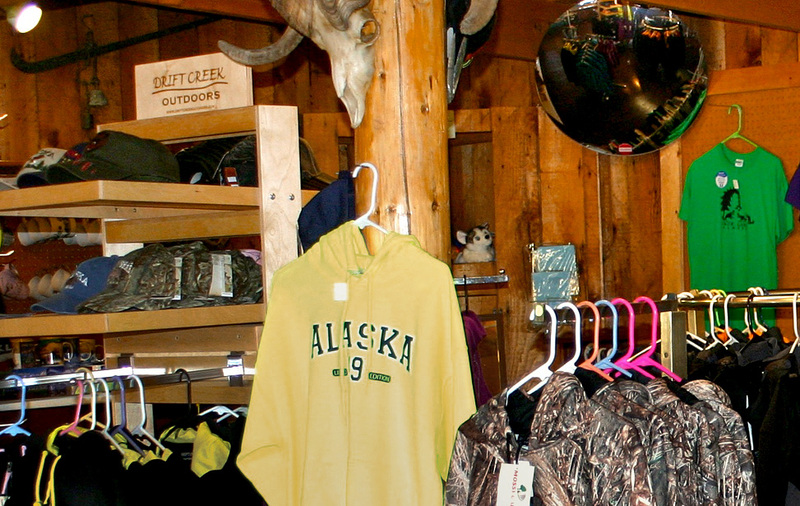 The Denali Park Visitors Access Center and shuttle bus service	is only 6 miles away. If you wish to secure a Safari Tour of Denali National Park please contact us during time of booking to reserve a seat. Tours sell out fast and people often have to wait for a tour during peak tourist season. Please call Toll Free-1-866-583-2696. Free transportation for activities provided if activities are booked through our tour desk. Let our tour desk book these activities for you. One trip daily June 5 through September 10th. Rate per person $194.00 + $15.00 per person park entrance fee. Denali Backcountry Adventure departs Denali Grizzly Bear Resort at 6:15 am. The tour provides ample stops for wildlife and restroom breaks. Drinks and snacks provided during the safari. 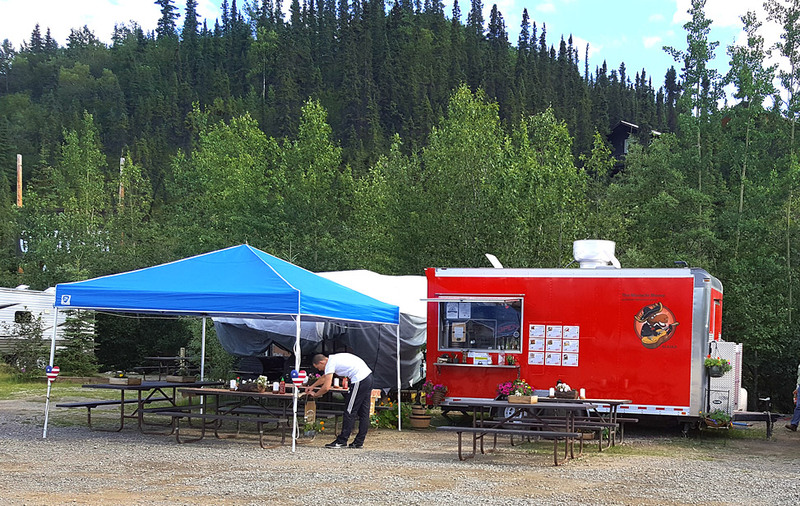 You arrive in the historic mining district of Kantishna; in Denali's back country at 12:30 pm where a wonderful buffet lunch awaits you. After lunch you can pan for gold or participate on local guided tours of the gold district. 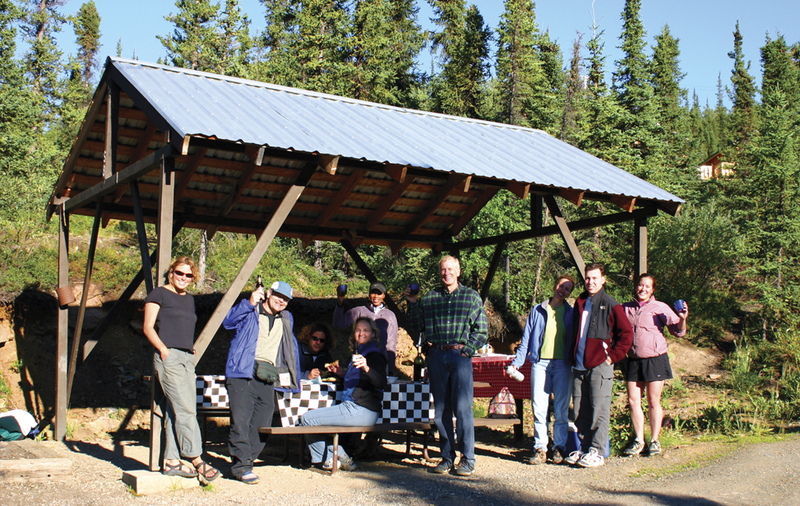 You are returned to Denali Grizzly Bear Resort at 7:25 pm, where you can relax on your hotel/cabin river deck or campsite, around the campfire, and reminisce about your spectacular day's adventure. The wilderness experience of a lifetime! 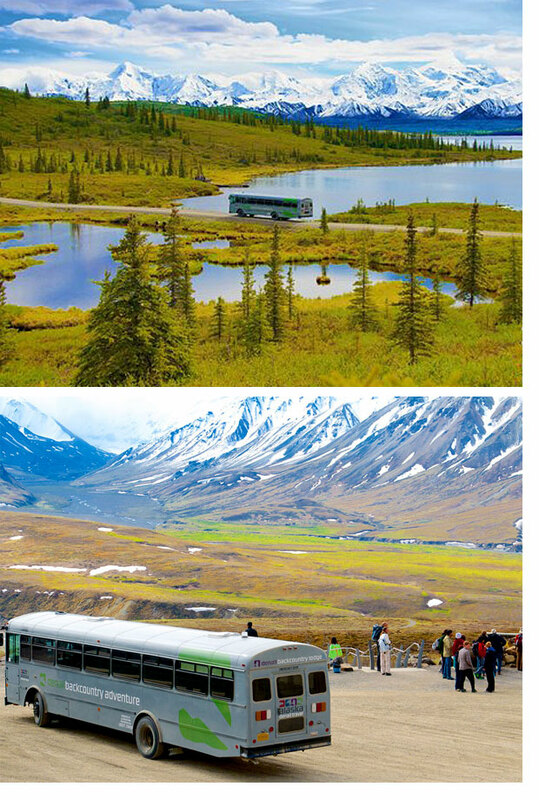 $484 per person + $15 Park entrance fee via tour bus into park with return trip in a classic Alaskan bush plane. The flight back is approximately 1 hour. Trips operate daily between June 5 and September 10. Full amount is due as deposit at time of booking. Written Cancellations must be received in our office (E-mail, Fax or Letter). Cancellation fees are $25 per person when notice is received more than 60-days prior to arrival, 50% of the total between 60-30 days prior of arrival, and 100% of the total will be retained for cancellations within the last 30-days. Due to the shortness of the season and remote location, it is necessary to enforce the cancellation policy. We strongly recommend travel insurance. 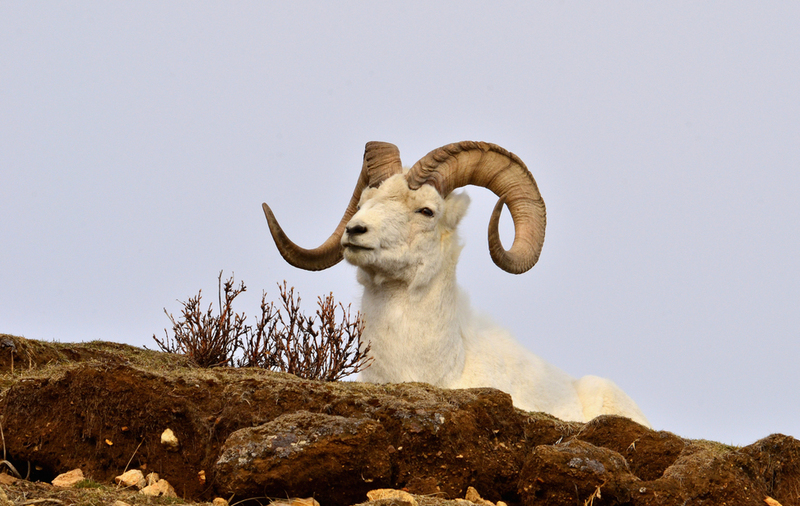 The idea for a park in this region began in 1906, when Charles Sheldon arrived to study Dall sheep, and then, concerned with the sheeps' survival in the face of heavy hunting, developed the concept of a park. There are around 2,500 sheep living north of the Alaska Range. They eat low-growing alpine plants year-round. They can be seen from Mile 15 to Mile 17 on the Park Road. If you drive to Savage River, look for them in the hills to the west.